This winter has been a long, cold and miserable one in the UK, so I was more than delighted to be jetting off in February to a sunnier climate for a two-week much needed holiday in Goa. There’s nothing like packing your suitcase for a winter break to lift the spirits! That said, having the right suitcase is essential if you are travelling long haul. I needed a stylish, large (I knew that I wanted to do a bit of shopping while I was there), sturdy and lightweight case to take with me on my travels. I had planned to be staying in more than one location so it was important to have a case which was that was easy to manoeuvre.
. 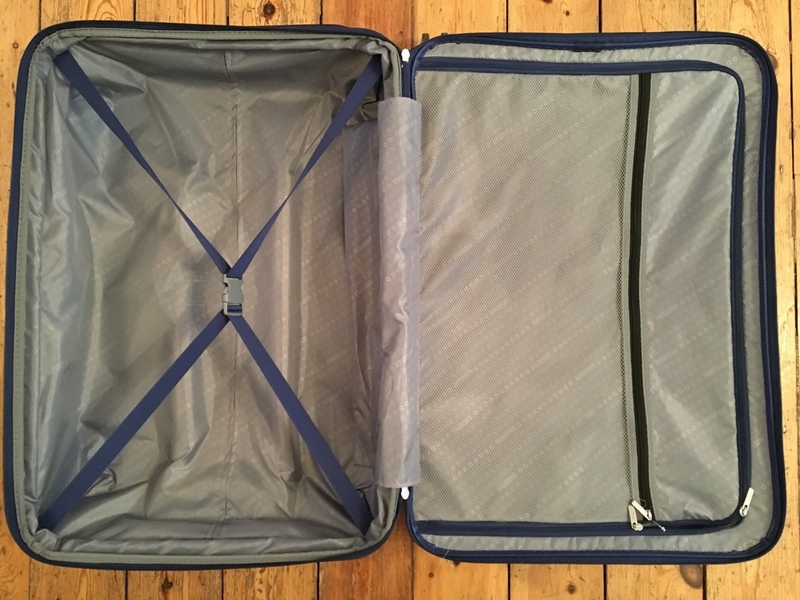 I chose the large 77cm case, which proved to be perfect for a two-week holiday. It came in a fabulous navy blue colour with a playful circular design and contrasting matte and shiny surfaces. 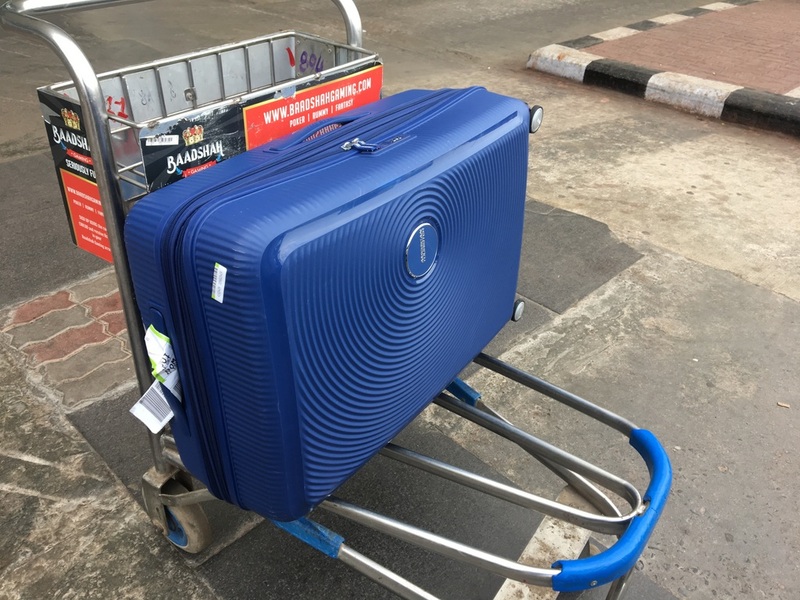 It is made of polypropylene material, which makes it very lightweight and has 4 smooth rolling double wheels, which glided along perfectly as I made my way through the airports. It’s expandable (always a plus) and has a fixed 3 digit combi lock, which was very simple to use and made me feel that my luggage was more secure. The interior has ample space with a handy organisation pocket and cross ribbons help keep everything in place. 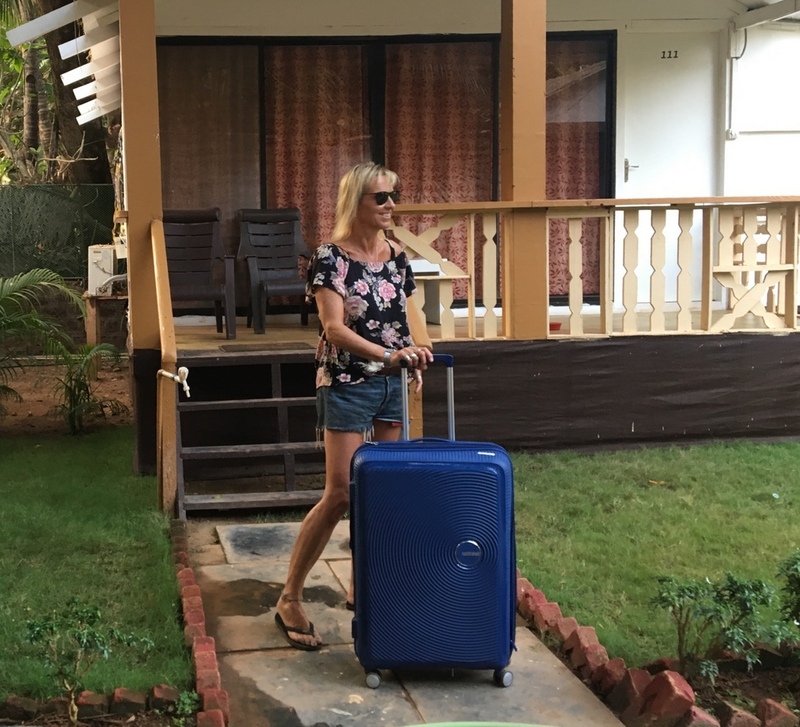 I had a wonderful, relaxing holiday whilst my case took a tumble from Heathrow, via Mumbai to Goa and back again, with a couple of interchanges in between. No meant feat, it arrived safely home looking as good as new. So what’s not to love? I know that I will be taking my stylish Soundbox suitcase on all my future travels and will rest assured knowing it ticks all the right boxes and is 100% up for the job. I’ve read lots of reviews saying it bruised easily and after one trip looked like it was already old. Did you experience the same thing?